Smartphones in our pockets are exponentially smaller and more powerful that they don't realize the need to carry laptops with us everywhere. Now imagine if a small mouse meets the need of the entire PC? Not just imagination, it has been proved and done by the engineers at a Polish startup. 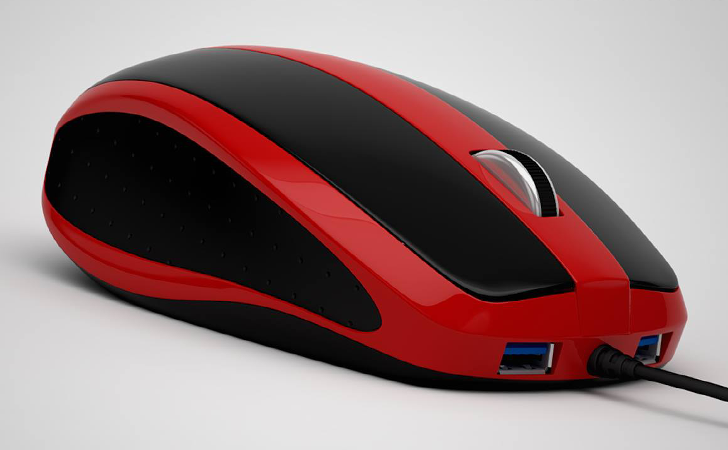 Poland-based Przemysław Strzelczyk and a team of software developers working on a new concept have created what they believe is the future of desktop computing — a mouse that's also a PC. Called "Mouse-Box", a wireless gadget that packs a 1.4 GHz quad-core ARM processor, a micro-HDMI port, WiFi up to 802.11n, accelerometer, gyroscope, two USB 3.0 ports and 128 GB storage space into a mouse. The only extra hardware needed is a monitor. Mouse Box comes with the same amount of storage as a high-end iPhone 6 Plus, but we know that nobody will be able to work for long with so little storage. The storage capacity can’t be physically expanded, but can be extended with the use of cloud storage service. "At the beginning, moving computers was a real challenge," explained the Polish startup. "Computer portability has been improving along with developing a PC. However, it still isn't ideal as it is necessary to transport a lot of its parts - a monitor, a keyboard, a CPU and a mouse." "We are introducing Mouse-Box, a computer different than ever before - an incredible combination of the two most important elements in a computer set." Mouse-Box comes with built-in Wi-Fi connectivity, and charges wirelessly using an inductive charging mat that doubles up as a mouse pad. This means the device would never run out of battery. However, the hardware also includes space for an optional battery. The HDMI port is the key part of the device that will help users connect the Mouse-Box to a nearby monitor. The device could theoretically be loaded up with any operating system of your choice. At home, the Mouse Box will behave just like any other mouse, and outside, you just need to hook-up to a monitor. "We've changed the thinking about personal computers. From now nothing will be the same," said Przemyslaw Strzelczyk. "The Mouse-Box is a revolutionary device; it connects the most important things in the IT industry. You will always have the PC in your hand, even at work. The only problem you will have to cope with it is what hand you are going to use." The Mouse-Box is currently at working prototype stage. The team of software developers of the prototype are now seeking commercial partners to help them bring it to market. You can also have a look to it via a video, the Mouse-Box is shown as an alternative to the work PC, or to replace a PC at home.